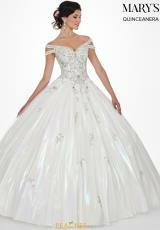 Flattering on every figure, this regal ball gown style MG2070 is the ideal choice for your quinceanera. This dress showcases a modest V-cut neckline with unique off the shoulder straps. A fitted bodice is adorned with intricate bead work that will add some sparkle to your night. A lace up back closure leads into a full A-line skirt made in iridescent Crepe de Chine fabric. 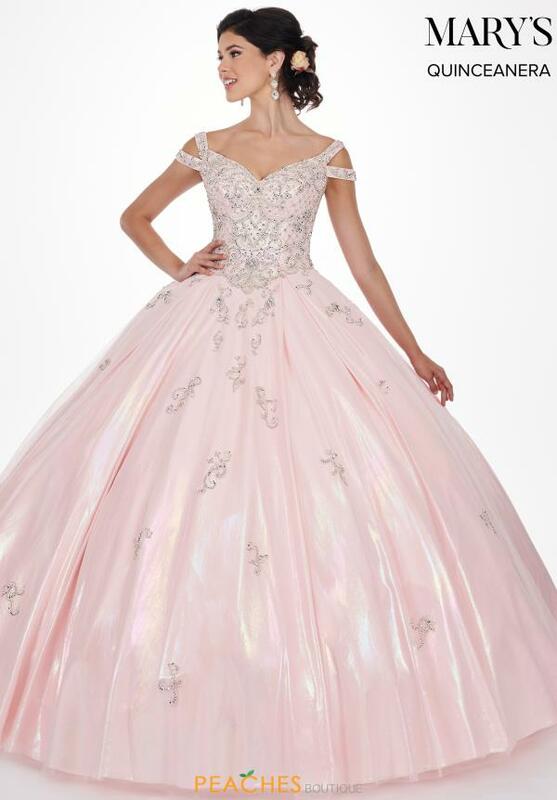 Shop more quinceanera dresses at Peaches Boutique.